FAIRFIELD, Calif.: Solano Community Foundation announces two new charitable funds that have been established to benefit Solano County residents. The Kim Liew Real Estate Group Fund was established to support the Fairfield-Suisun Unified School District teachers by providing mini-grants for classroom educational purposes. The Lorene D. Seward Fund was established to support the renovation, preservation, and maintenance of the six Ordinance Workers Houses and adjacent outbuildings and grounds of the Mare Island Naval Shipyard. Kim Liew is a real estate broker in the Fairfield and Suisun City areas. This fund supports district teachers by providing funding for classroom teachers in these areas: purchasing classroom supplies and consumables, purchasing technology or software items, or supporting field trips and related activities. Teachers in Fairfield-Suisun K-12 schools are eligible to apply. Lorene D. Seward left a bequest to the Solano Community Foundation for the purpose of establishing a fund to support historic ordinance buildings on Mare Island. The houses to be supported are a portion of the Mare Island Naval Ammunition Depot National Register Historic District. A secondary purpose of the fund is to support the development of the Mare Island Naval Shipyard National Historic Landmark as a public park. Establishing a fund to help support philanthropic interests is one way that residents and businesses in Solano County may partner with the Solano Community Foundation. Full descriptions of these funds and their purposes, as well as of all the funds SCF administers for the benefit of Solano County residents, may be found on the SCF website fund pages at: www.solanocf.org. 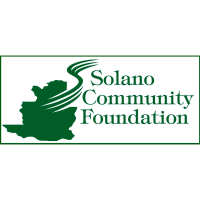 The Solano Community Foundation is a qualified public charity that received its 501(c)(3) tax-exempt determination in March of 1996. It serves the charitable needs of Solano County residents. It administers a number of component funds that make grants and award scholarships to other non-profits and schools. The Foundation also offers community workshops and training in the areas of governance, fundraising, leadership, and management, and advocates for needed programs and services. To learn more about SCF’s mission, funds, or programs, or to join their Nonprofit Partnership Program, visit their website at www.solanocf.org. Look for them on Facebook as Solano Community Foundation. They are also on Twitter and Instagram.